When you create a software program or application, such as a digital voice assistant or a chatbot, there is an important step you should take before distributing the final product to your intended audience. This step is referred to as prototyping, and it’s an integral part of the software application design phase. After researching your concept, outlining the layout and design of your interface, you can create a replication of your chatbot or voice assistant in the form of a mockup. This helps you to finetune the user interface (UI) of your concept. When you’re ready to create sample product that your audience can interact with, then it’s time to consider creating a prototype. Your prototype is similar to what you expect your final chatbot or voice assistant to look like. You can create a chatbot or voice assistant with ease when you use a prototyping tool, such as Botsociety. 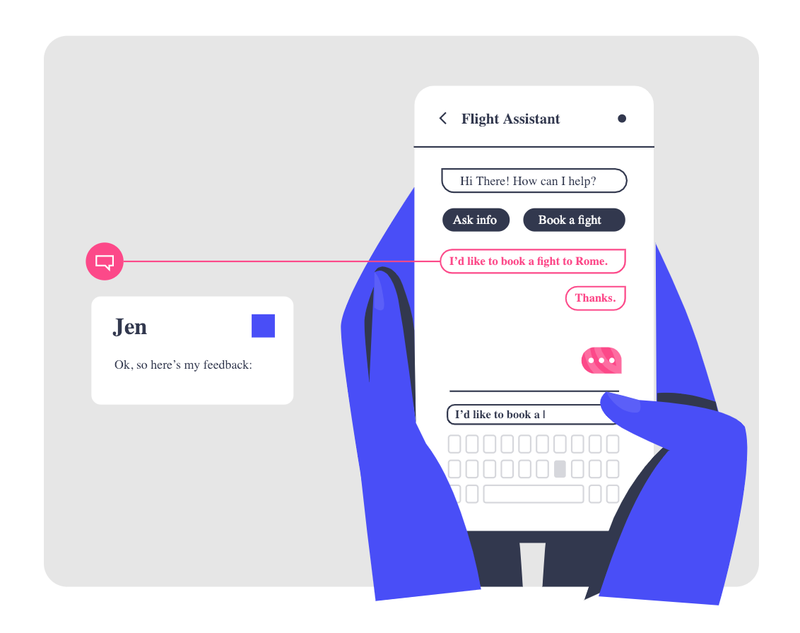 Botsociety is a chatbot prototyping tool you can use to create virtually any chatbot or voice assistant in the form of a high-fidelity prototype. What is Involved in Building? When you’ve tested your chatbot or voice assistant, then you can move on to developing or building the final product. During this stage of development, you’re taking care of the back-end solutions that will ensure your product is working and ready for your end customers. This involves cleaning up any errors and applying design solutions. Make Mockup Magic. Getting your chatbots and voice assistants to go beyond frequently asked question (FAQs) requires tools that facilitate conversational design. With Botsociety, you can take advantage of its prototyping capabilities and design what your ideal chat experience would be like in real-time. Build a Bot or Voice Assistant Prototype. If you’re looking to create a workable prototype of a bot or voice assistant that is ready for presentations, then Botsociety can help. With Botsociety, you can create interactive chatbot and voice assistant interfaces that you can use on a variety of platforms. For example, you can create a voice assistant prototype to be used on platforms, such as Google Assistant or Alexa. Get a Preview of Your Chatbot or Voice Assistant. Being able to see how your chatbot or voice assistant idea comes to life requires a mockup and prototype that your potential investors and target audience can see and use. This helps them to get a better idea of how your voice assistant or chatbot will function when it’s ready to go live and if it’s the right product that fits in their portfolio or helps them solve their issues. With Botsociety, you can help the imaginations of your prospects by creating a prototype of your chatbot or voice assistant all without needing to know how to code. 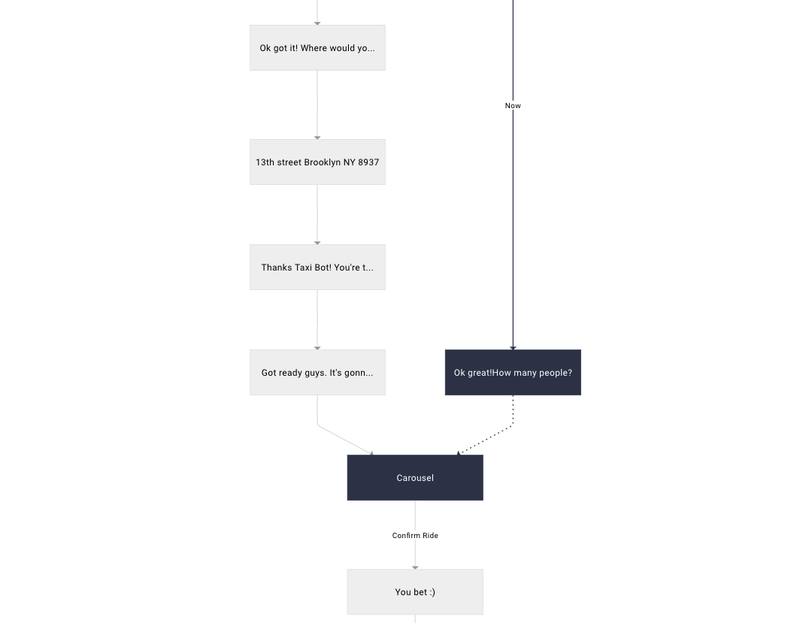 Design Conversational Flows You Can Test and Share. 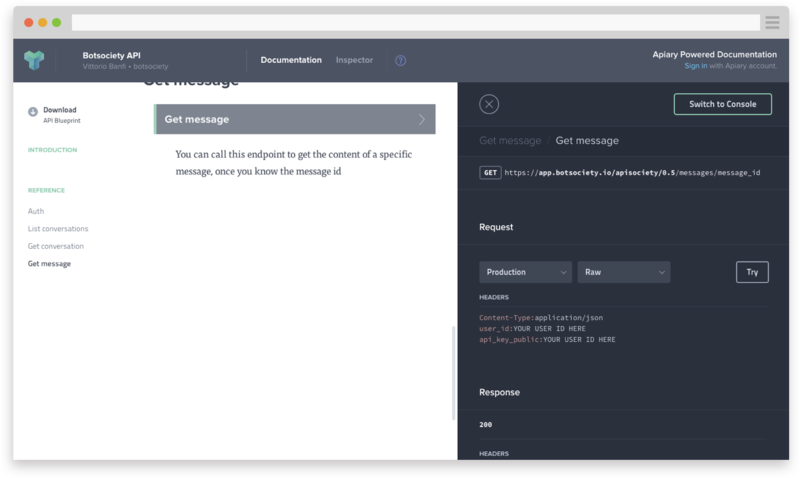 With Botsociety, you are able to design the conversational flows for voice assistants and chatbots that you can later test and share with other UX designers and your target audience. You can export and share your voice assistant or chatbot using different formats, including exporting them as an Excel, GIF, AVI and PDF file. You can even get a digital assistant to help you with creating your prototype. The process is simple and just requires a few steps to create the chatbot or voice assistant prototype you need. While there are several key aspects Botsociety helps you accomplish to create a prototype, there are a few limitations. These capabilities are centered around building and deploying your final product. So, it’s important to know what prototyping does not involve and the limitations with the Botsociety prototyping tool. While you can create a fully interactive prototype that you can use for presentations for investors or as a mockup to help your target audience envision your voice assistant, you won’t be able to build out or deploy the final product. Instead, Botsociety helps you take care of the design phase of development so you can create your ideal chat experience for your customers. Creating a prototype of your chatbot or voice assistant is very different from building the final product. Before you can get to the final product and deploy it, you have to prove your concept and test it among your intended audience. You can get this done by creating a prototype and using a prototyping tool, such as Botsociety. By developing a prototype, you can make sure your product works the way it’s intended to before you invest a substantial amount of time and money. Originally published at Botsociety Blog.